Daniel van Dijck presents Touch me! Please do not touch! Daniel van Dijck (1986) is known for seeking the limits of design by working with unusual materials and processes. 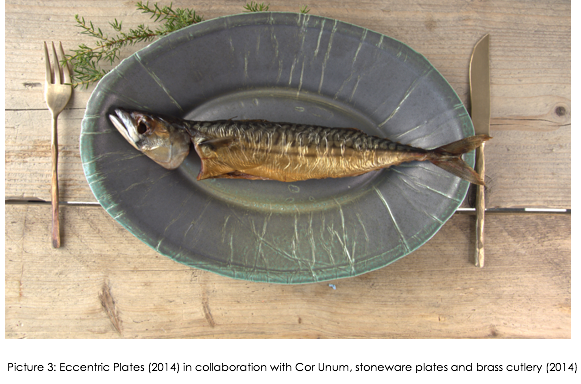 He has created surprising tableware items in which he combines edibles with metal, porcelain and glass. During Ventura Lambrate 2017, he will add another layer to his collections by altering the way they are exhibited. Abandoning the purely visual experience of a museum presentation, he invites visitors to grab product samples and to use the products by eating food from them. By questioning how we consume food and by involving the public, visitors become part of the design process. Van Dijck: “I play here with the idea that furniture and product designs at an exhibition usually are not to be touched. ‘We look at design; we do not touch.’ However, we have to use design to understand its full potential”.